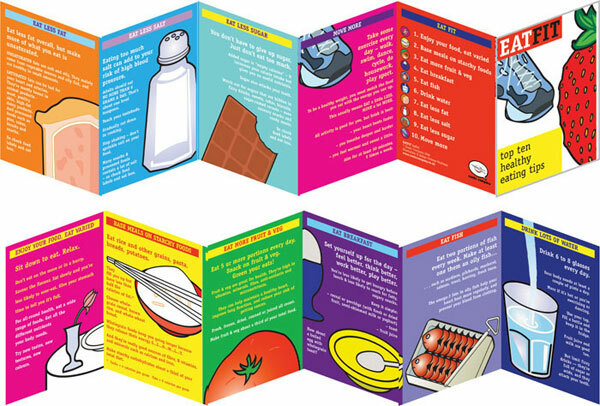 Concise yet remarkably useful advice about healthy eating for adults, in a lively colourful format. 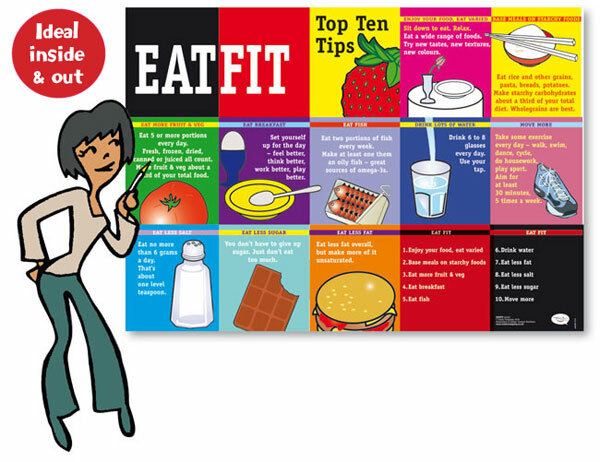 Supports latest FOOD STANDARDS AGENCY (FSA) advice. SORRY - OUT OF PRINT! REALLY SORRY - SOLD OUT OF BOTH A2 AND A3 ! Made from light, durable foamex, this laminated panel can be simply fixed to the wall. 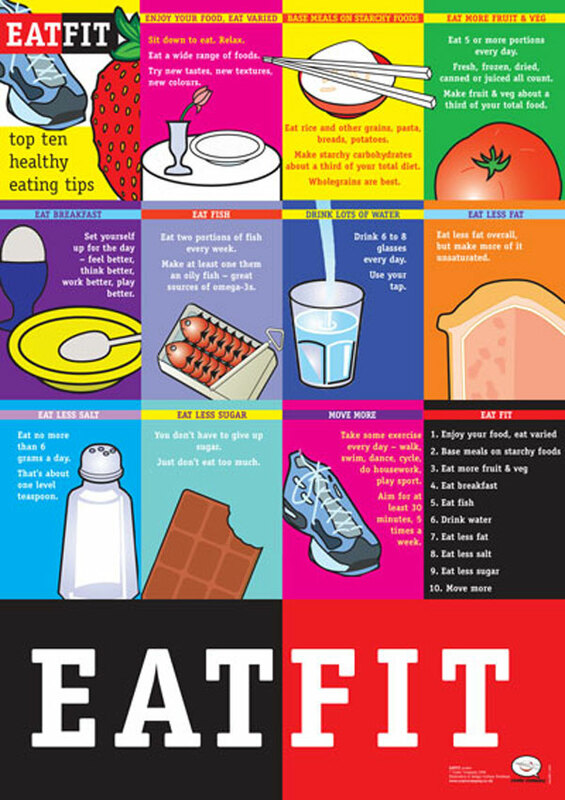 Ideal for display food and fitness messages to all ages, whether in the classroom, school hall, canteen or office. Simple to fix to the wall using velcro strips (supplied). REALLY SORRY - SOLD OUT OF BOTH A2 AND A3 VERSIONS!